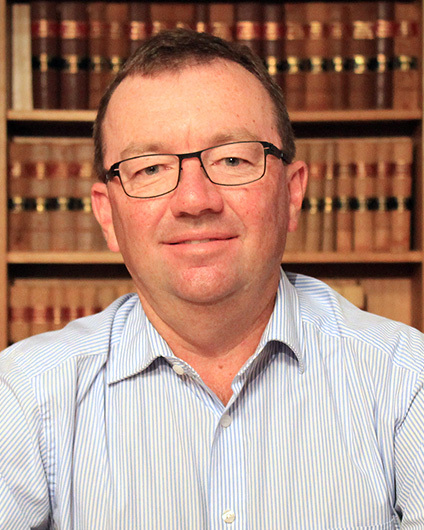 Brett Walker joined the ANU College of Law in July 2014 as a part-time lecturer after nearly 30 years in private, corporate and government legal practice in Sydney and Canberra. Most recently Brett was General Counsel at the Commonwealth Scientific and Industrial Research Organisation (2009 – 2014). From 2004 – 2008 Brett was seconded to the Department of Foreign and Affairs and Trade to work as an intellectual property and trade negotiator in a variety of United Nations fora. Brett was also the inaugural chair of the Commonwealth Legal Network Board (2011 – 2013). Brett has extensive practical experience in advising on a broad range of commercial law matters both domestically and internationally but has particular expertise in intellectual property law, communications law, Commonwealth administrative law, taxation law and company law. Brett’s current research areas include intellectual property law, social media law and technology transfer. The ABC announced a major re-branding strategy for its capital city radio stations earlier this month. Radio Adelaide objected. Brett Walker from ANU College of Law explains some legal complexities behind the case. In 1995 less than 15% of the lawyers in Australia were employed by corporations, governments and NGO’s, today approximately 30% are. What has driven that growth and what are the opportunities and challenges for the in-house lawyer or for the law graduate considering an in-house legal role? Liquid Learning Pubic Sector Conference (Canberra 2005) – “IP issues in Commonwealth Procurement”. Lexis Nexis “Contracts South Australia Conference (Adelaide 2006) – “IP issues in Government Procurement”. Liquid Learning – IP 2006 Conference (Sydney 2006) “IP Management”. Paper titled “Legal Strategies for Streamlining Collaboration in an e-Research World” (Published by QUT in December 2008). Appearance before Joint Standing Committee on Treaties inquiring into the Future Submarines Program with France - 14 March 2017. Expert evidence on defence contracting and technology transfer arrangements.